About Razertip cords.... Handpiece cords are perhaps the trickiest component on a pyrographic tool. In addition to having to sometimes handle up to 20 amps of current, they have to withstand constant flexing for hours on end. On top of that, they must maintain an absolutely perfect connection between the pen and the power supply - if the connection is reduced the ends can generate enough heat to melt the connectors! Razertip cords incorporate many unique features that make them the most reliable cord on the market. 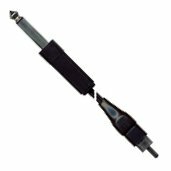 All of their RCA connectors are precision machined, then carefully inspected, fitted, and electrically reinforced. In other words, they're made to handle the current and tugging like no other plug. Then they install a unique flexible strain relief behind the plug. 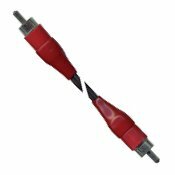 The strain relief spreads the flexing of the cord over a larger area, assuring many years of dependable service. New technology in cable manufacturing has allowed Razertip to make a much more flexible handpiece cord. The new heavy duty cords are much more limp and flexible than ever before. The Razertip tip cleaner is designed to allow quick, convenient tip cleaning of hot or cold tips of almost any shape and size. The top cover can be left covering the blade during storage or transit and is easily flipped up to expose the cleaning blade. You may leave the burner power on while performing cleaning operations. 'Power-on' and 'one-hand' operation makes tip cleaning fast and convenient. A simple way for burners to quickly tell one pen from the other without having to pick it up and look carefully at the tip. These “O”-rings are the solution. Sold in a set of 24 (3 each of 8 colours - Black, Blue, Green, Orange, Purple, Red, White and Yellow), they can be rolled onto the pen body (just behind the grip is a good place) in any combination to quickly ID different pens by the ring colours. Also helpful to distinguish your pens from others in classes or workshops. They are re-usable and will fit standard or HD pens. Razertip Cords and Accessories are unconditionally guaranteed for 1 year. Heavy Duty Cord - RCA(M) to RCA(M). Heavy-duty Razertip cord for Razertip burners/pens. Also allows use of Razertip pens on other power supplies using an RCA connector. Example: Optima, Nibs. 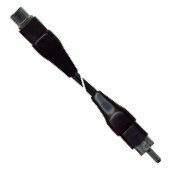 Heavy Duty Cord - RCA(F) to RCA(M). Heavy-duty Cord allows use of pens with male RCA connector on Razertip power supply. Example: Colwood, Optima and Nibs. Heavy Duty Cord - RCA(M) to 1/4"phone. Heavy-duty cord allows use of Razertip pens on power supplies with a 1/4 inch phone jack. Example: Detail Master. Heavy Duty Cord - RCA(M) to 2 lugs. 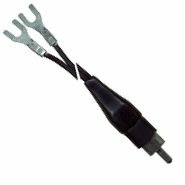 Heavy-duty cord allows use of Razertip pens on power supplies using a screw terminal block. Example: some Colwood burners. Razertip Tip Cleaner. The cleaner removes carbon buildup from most sharp Razertip tips quickly and easily. One hand operation that works without turning off power. Prolongs tip life because it is not abrasive. 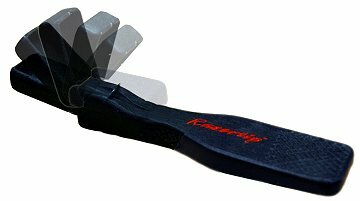 New design includes a flip-away blade cover for safety. 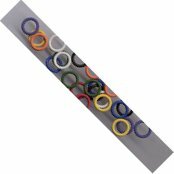 Coloured ID Ring Set for Razertip Pens These “O”-rings are sold in a set of 24, (3 each of 8 colours - Black, Blue, Green, Orange, Purple, Red, White and Yellow). They can be rolled onto the pen body (just behind the grip is a good place) in any combination to quickly ID different pens by the ring colours. Also helpful to distinguish your pens from others in classes or workshops. They are re-usable and will fit standard or HD pens. Can you get me a Razertip cord or adapter that you don't have showing on your sales pages? Why do you only sell a Heavy Duty cord? Are the Razertip burners safety certified? Can you give me more information regarding purchasing via PayPal? I want to purchase multiple items using PayPal. Can I do this? What if I make a mistake using PayPal or I decide I no longer want to proceed with the sale after I've checked out? What are your other payment options? Can I pay online with Credit card and is it secure? How are my goods shipped? Do taxes apply to these goods? How come your Razertip equipment is so inexpensive compared to others? 30) Can you tell me all about Razertip Package Deals?